First weekend of May was definitely a marathon eating of food in Vancouver! Dan ran the BMO marathon that weekend, but together we ate our way through a lot of great food places in Van! Pictures and reviews to come shortly. Meanwhile, here is what we brought back as our snack! 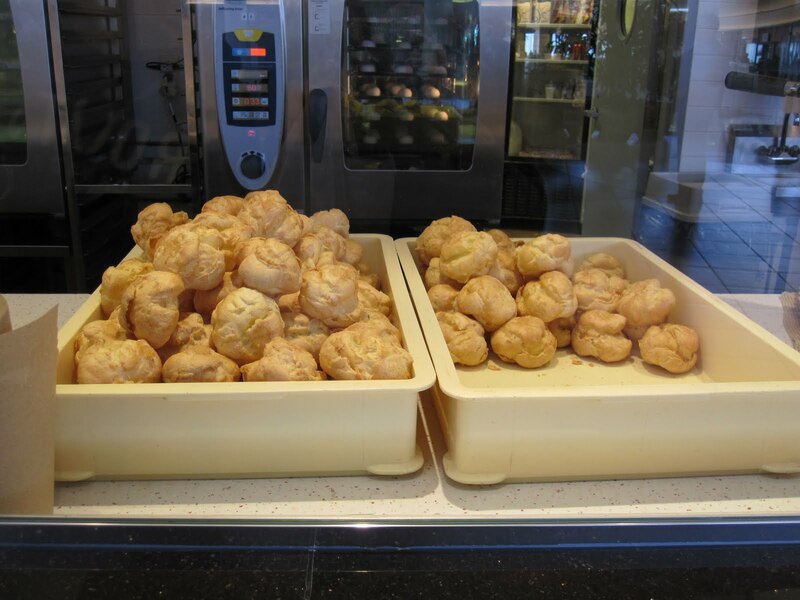 These huge cream puffs are from Beard Papa's located in Aberdeen Centre in Richmond, British Columbia. We bought one of their regular flavours - vanilla, and their special of the day - mango. 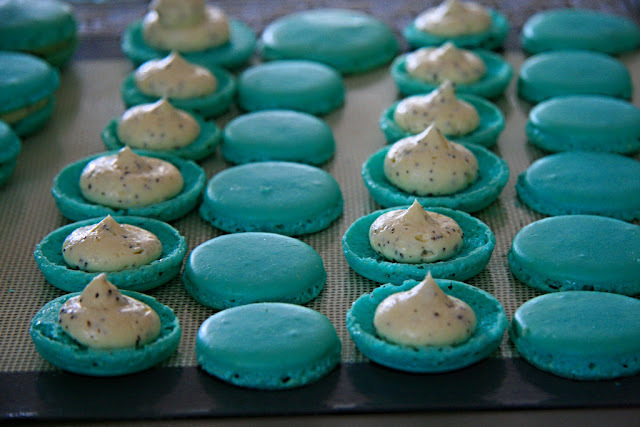 Upon ordering the different flavours, each pastry shell was injected with the filling. The "cream" inside the puffs were more of a custard consistency. The mango puff leaned more towards 'mango pudding' in custard form, while there wasn't anything too special about the vanilla one. I believe the one in Aberdeen features different flavours for each day (e.g. strawberry, chocolate, coffee, green tea) - there is even a handy calendar to help customers remember. Given their size, it would be safe to say that it's probably not recommended to eat an entire one by yourself. Two cream puffs were split three ways, and that was more than enough for the three of us! Plus, the alarming fact is that there are approximately 220 calories in one cream puff! There's even a sign at the cash register reminding patrons of this - as if this is a healthy fact. 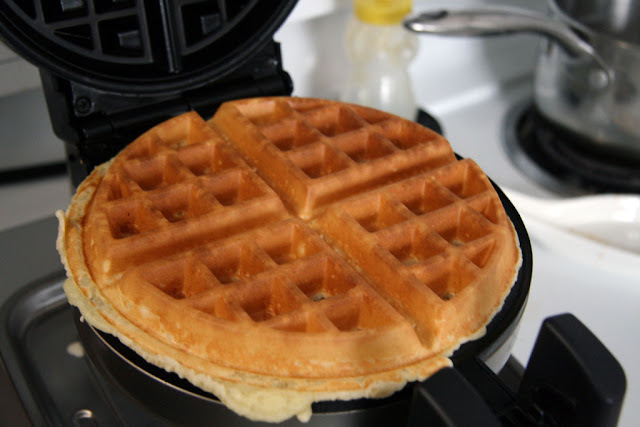 Either way, despite the alarming calories, it's definitely worth a try. So, if you're ever near a Beard Papa's try one out. In Japan it's all the rage, as well as all over the globe. Remember, it's best to eat them fresh. 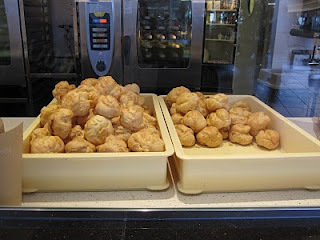 Each cream puff at Beard Papa's costs $1.75. But if you get more than 6 then it's slightly cheaper, but one wonders about the calories. Yum yum! 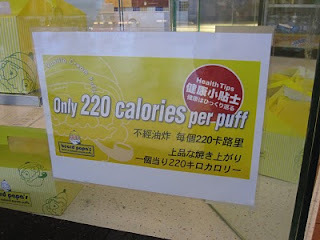 220 cal is a lot...but lets not think about it. Makes me want to bake my own now!